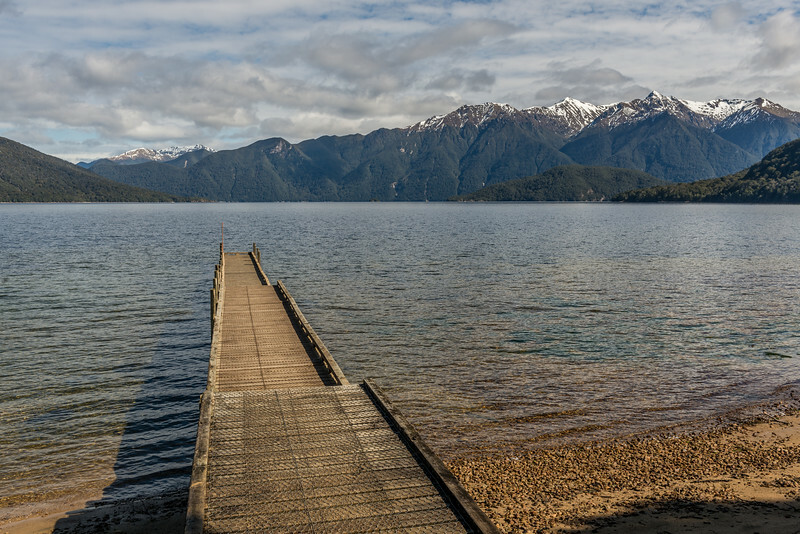 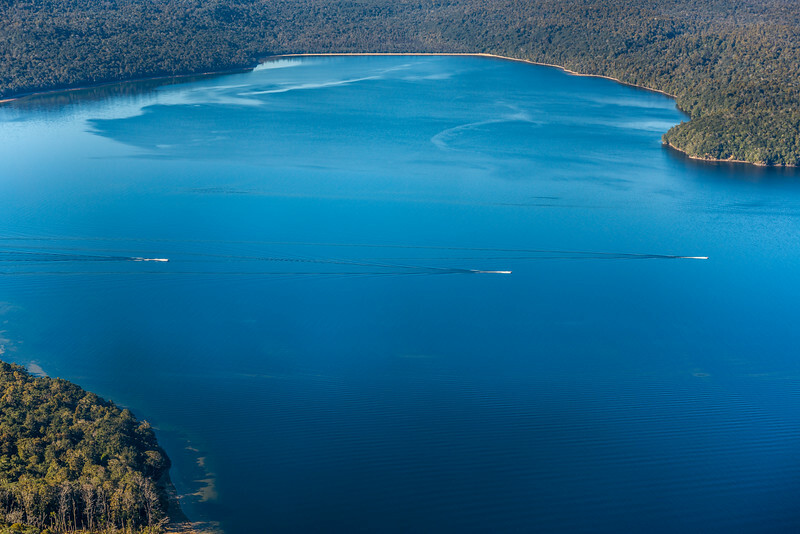 Lake Hauroko - the pier at the end of Lillburn Valley Road. 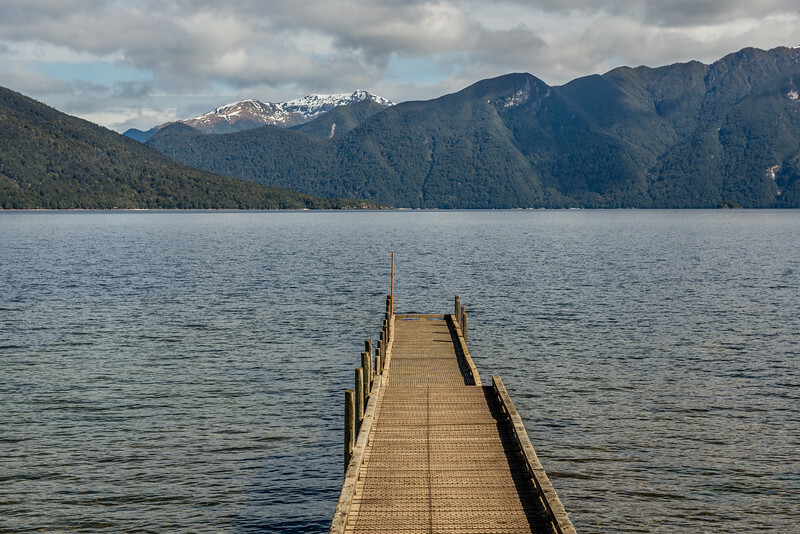 The Princess Mountains are across the lake. 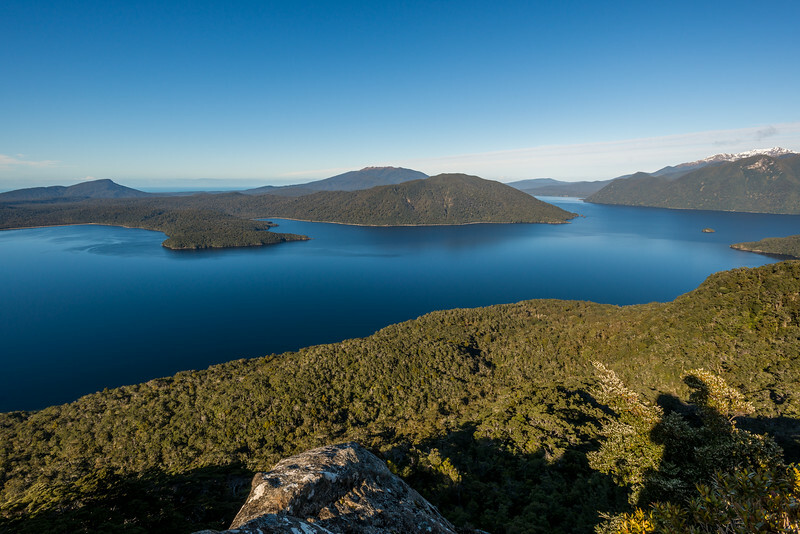 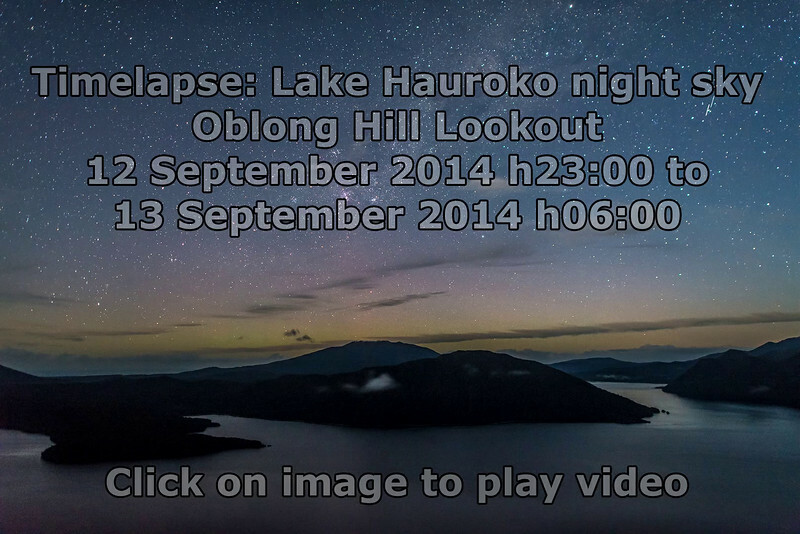 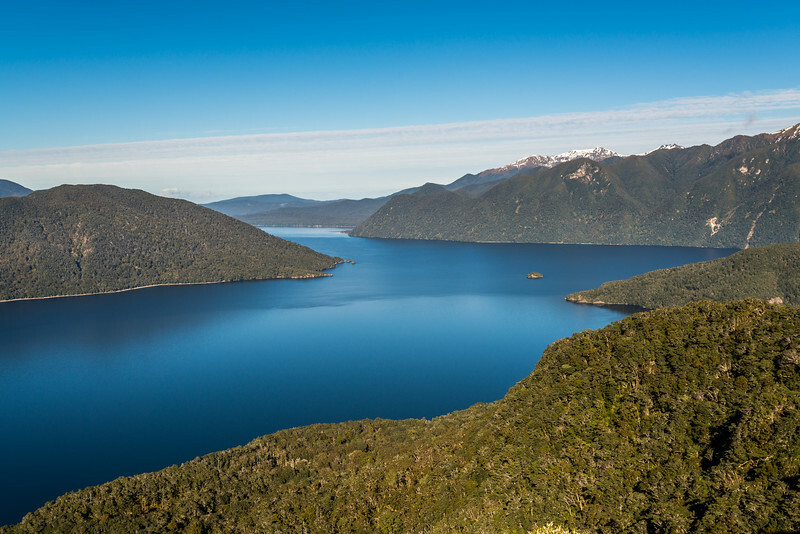 Lake Hauroko - view from Oblong Hill. 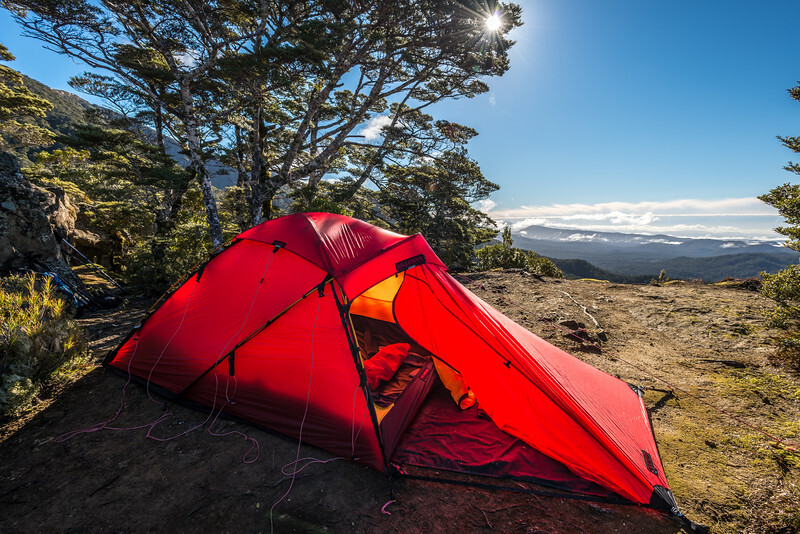 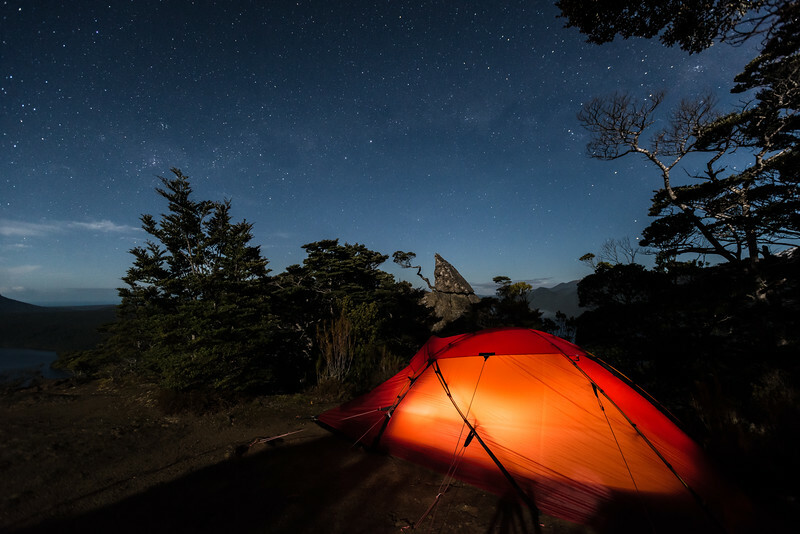 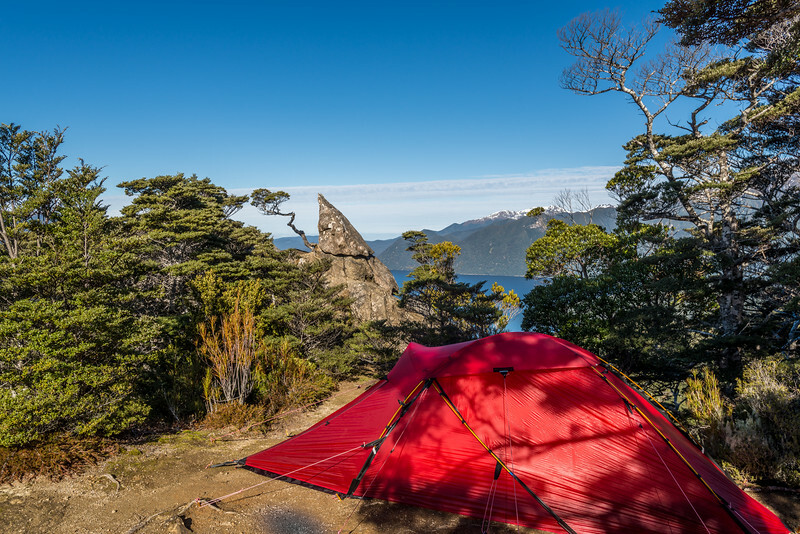 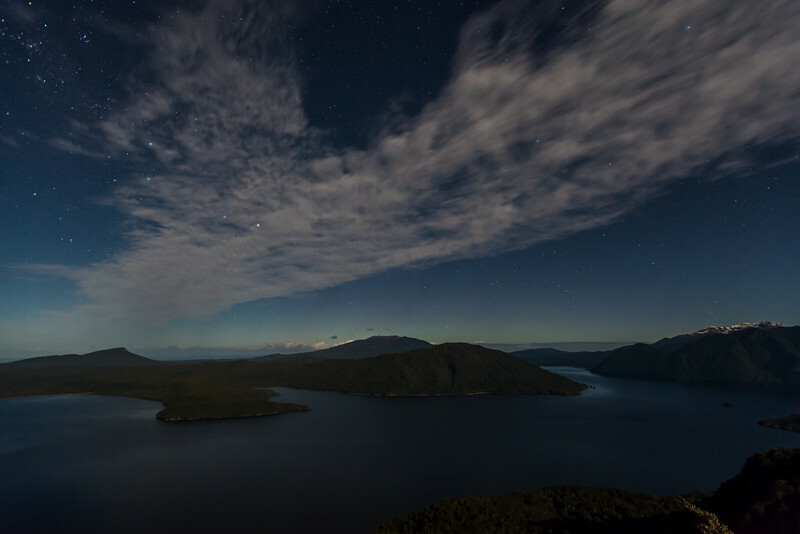 Campsite at Oblong Hill Lookout, Lake Hauroko. 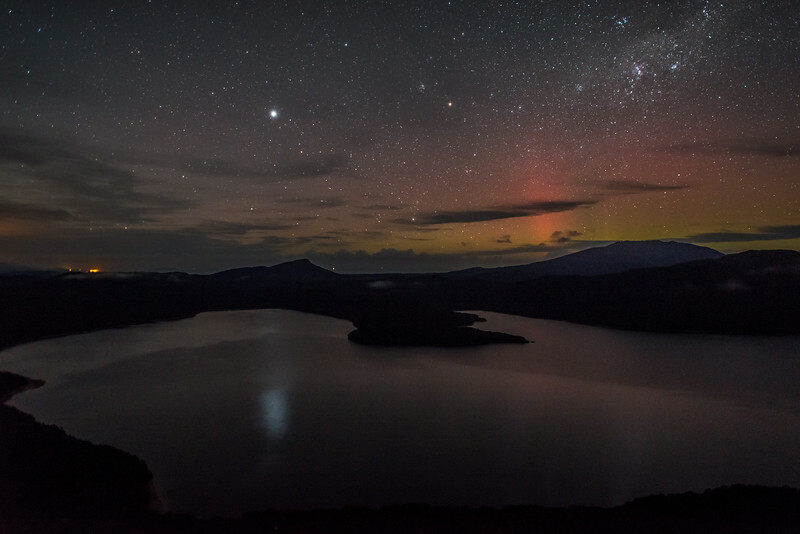 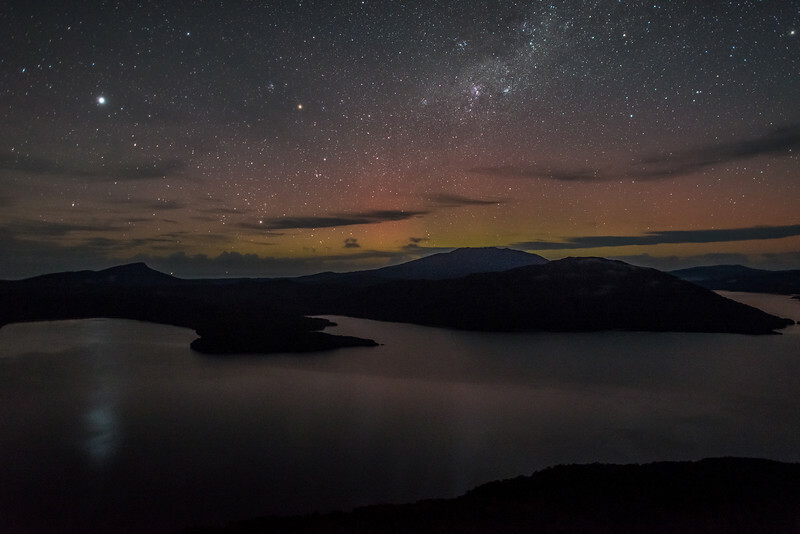 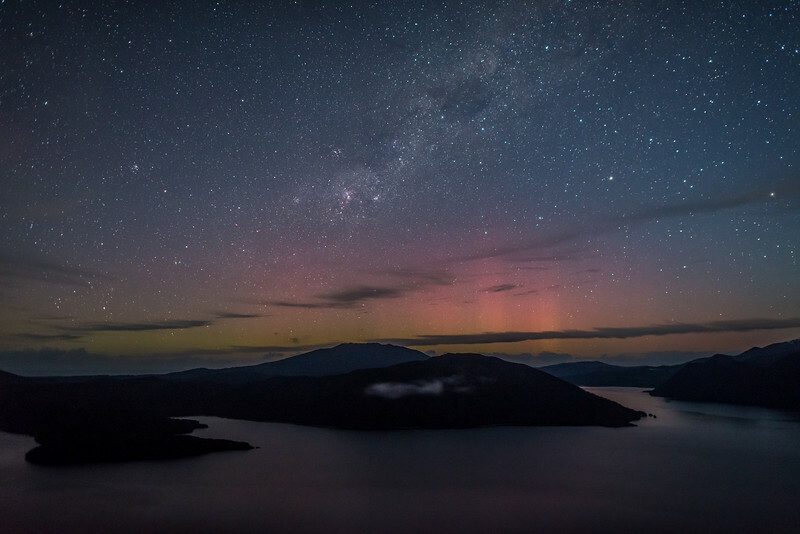 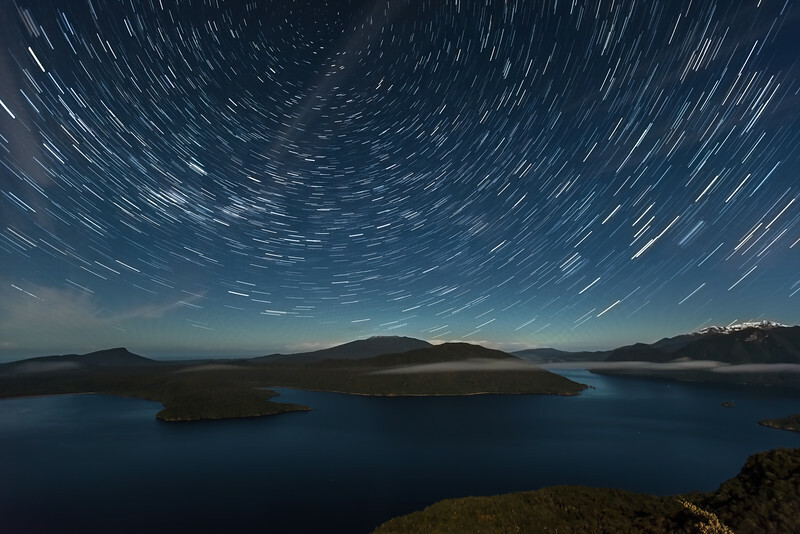 Aurora australis over Lake Hauroko. 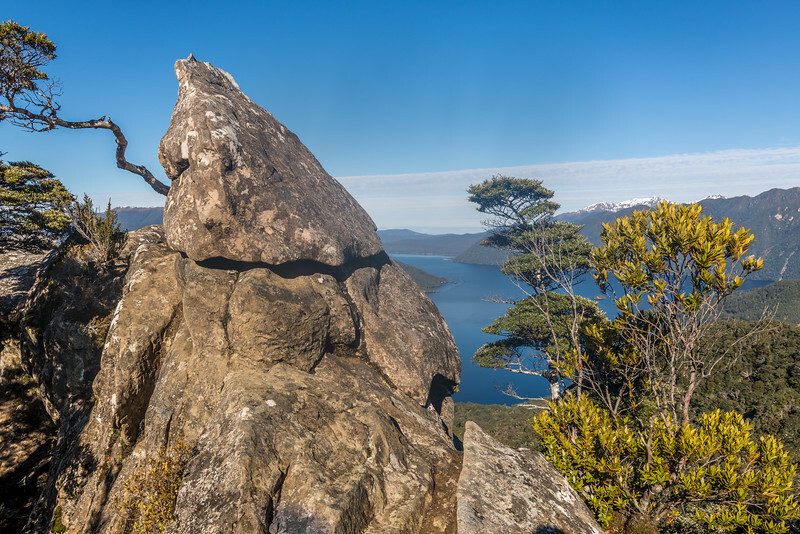 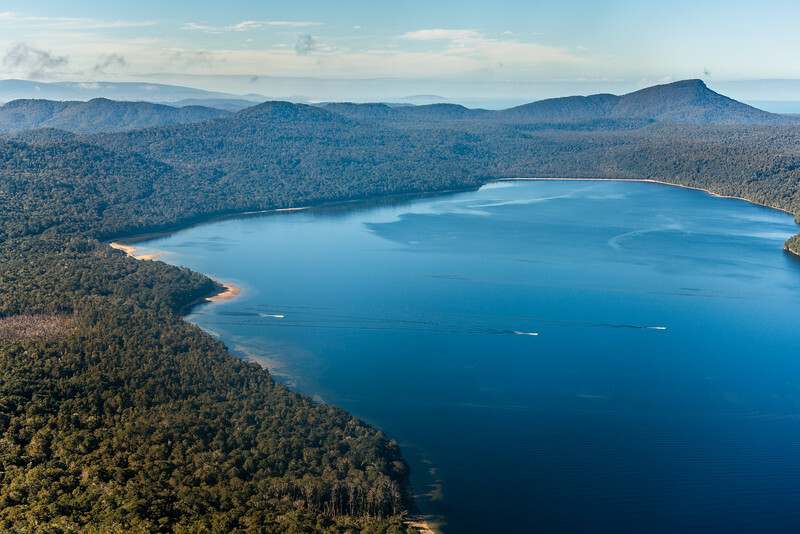 Oblong Hill Lookout.